Dr. Fink may recommend a dental bridge to close the gaps in your smile left by missing teeth. When Dr. Fink places a dental bridge, it will provide you with a beautiful and functional smile, plus renew your appearance, support your facial structure, prevent your remaining teeth from shifting, and improve your bite. 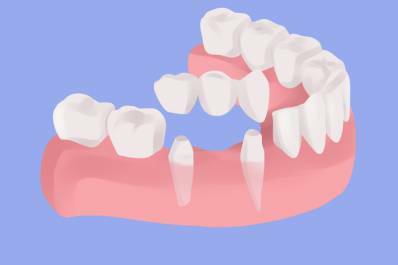 A dental bridge is a fixed dental restoration, meaning it is non-removable. The dental bridge is anchored in place through the use of two dental crowns, which are custom made to fit your smile and are placed on the teeth or dental implants next to the space left by the missing tooth. These crowns hold the artificial tooth in place, ensuring that your restoration will not easily shift or come loose. It typically requires only two visits to complete the dental bridge. Dental bridges are designed to last for many years and to restore the function, beauty, and health of your smile. For more information about dental bridges, request an appointment or call us at 602-942-4260.